AVG has continued to deliver advanced anti-virus protection with the launch of a new version of an integrated antivirus AVG Internet Security 2015. The decision goes beyond the simple detection and removal of viruses on your computer by blocking infected links when you visit web sites, checking files before they are loaded, and helping to protect your personal data on the Internet and on your PC with enhanced security features. In the version 2015 improved the basic anti-virus engine and its accuracy, and also included a new method for cloud detection. And since AVG knows that safety is just as important as ease of use, AVG Internet Security 2015 and the entire line of anti-virus products received an updated, easier-to-use interface design. 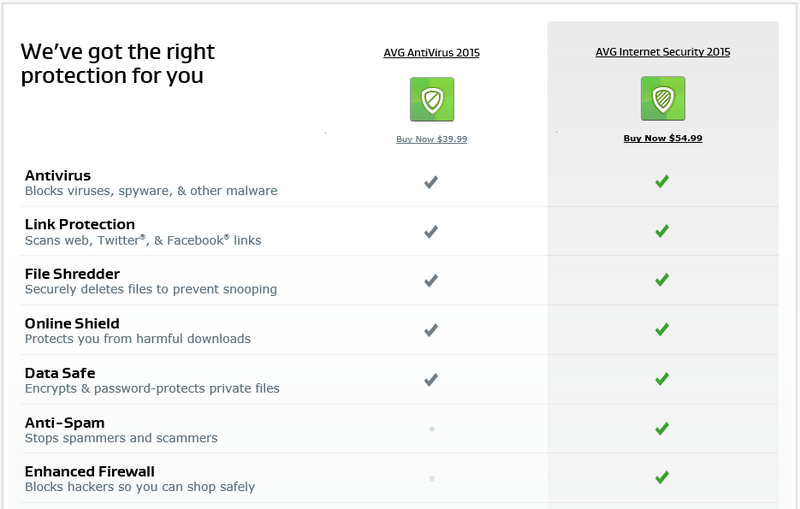 Let us consider the major improvements and changes in the integrated antivirus AVG Internet Security 2015. The developers have worked hard to optimize its core antivirus engine to increase the detection accuracy. Improvements include better detection blockers Windows and improved scanning of all downloaded files to ensure protection against constantly emerging and evolving threats. In addition, when there is a new threat online and instantaneously, the key to maintaining a high level of protection is the speed with which the anti-virus solution will react. New cloud detection method for the detection of Outbreak Detection “flares” threats provides protection AVG Internet Security 2015 a set of technologies that are immediately and limit the spread of the latest threats. And finally, in the AVG believe that safety should be easy and simple, so it was a lot of work to make the AVG Internet Security 2015 intuitive to use, thus improving convenience and effectiveness of protection. The new simplified interface design informs that requires your attention at first sight. Combined with a comprehensive free online support, you can be sure that you get one of the best anti-virus solutions. 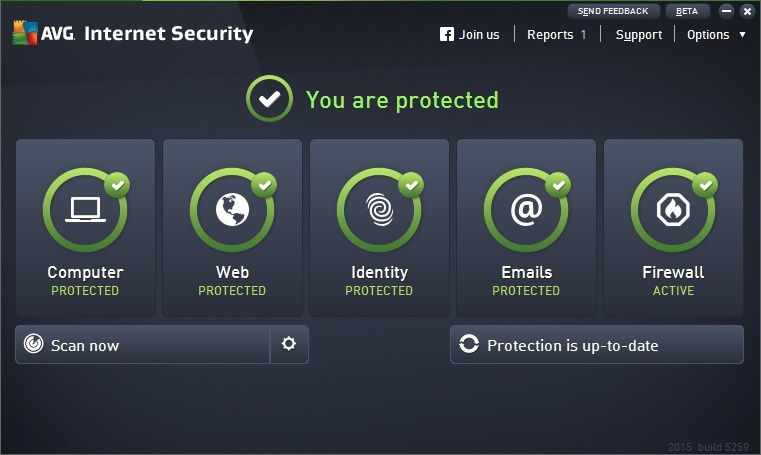 You can download AVG Internet Security 2015 on the official site of the product. Other antivirus solutions are also available for download, starting from the free antivirus – AVG AntiVirus FREE 2015 and ending multifunctional commercial products – AVG AntiVirus 2015, AVG Premium Security 2015 and optimizer AVG PC TuneUp 2015.